Tarot or Oracle Cards can be used as an alternative method of understanding what is happening to you in your life, and help you to make better decisions. Read on to find out how to use them to reflect on the things you need guidance for. 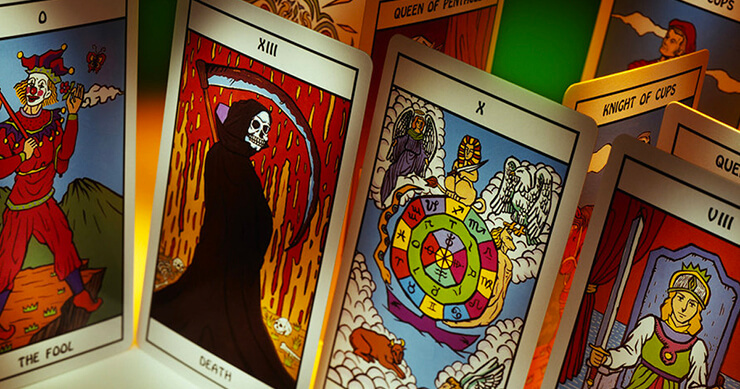 Should You Believe in The Occult to do Card Readings? 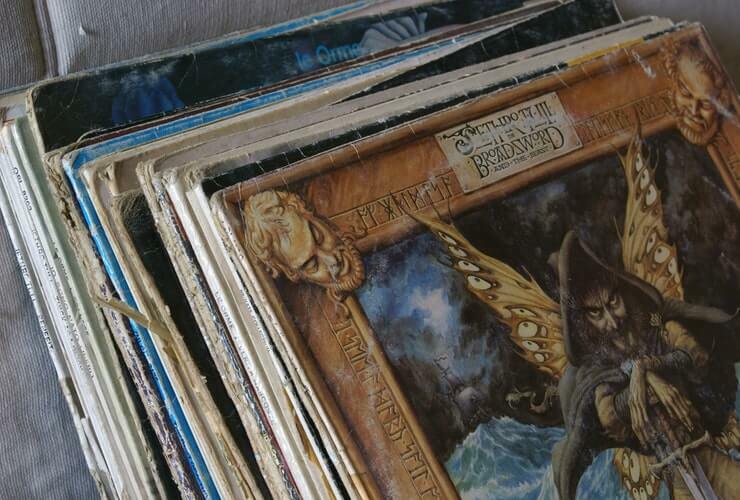 The history of Tarot and various other methods of "Fortune Telling" may lead you to believe that there is something mysterious or mystical to card reading. Does that mean that you have to believe in magic or spirits in order to benefit from a card reading? Absolutely not! Anyone can purchase a deck of cards and start using them to do readings and reflect on their life. The cards themselves don't have to be seen as a magical medium through which the universe wants to communicate with you about your future. You can simply use the cards to tap into your own feelings so that you can see the things happening to you in your life a little clearer. Interpreting to ideas in a card spread is no different than listening to input from a friend or family. When you speak with a friend you only take away from the conversation what you want or need. In the same way, a card spread can help you to ask yourself questions and think about potential outcomes. It is often said that the answers to all of out questions lie within ourselves. Tarot Cards are more structured and have fixed meanings. These meanings are of course always open to interpretation and can be very flexible, but essentially, whatever deck of Tarot cards you are reading, the meanings stay the same. You can get different designs and versions of Tarot decks but that doesn't affect the meanings of the cards. The only thing that might affect the meaning of a card is where in a spread it lies and if it has to be read in context with another card in the spread. Oracle Cards on the other hand are much more flexible and open to interpretation, indeed some decks don't even offer any set meaning for each card, and they are totally open to your own instinctual feelings. Oracle cards can sometimes be a simple and fun choice for someone who just wants to experiment, because usually the cards each come with a set meaning determined by the creator of the deck, but you can add what you need to these meanings and generally use your own intuition. Oracle Cards are also designed to appeal to specific themes so you are bound to easily find a deck of Oracle cards that you can relate to, like Angels for example, nature, mystical creatures, or wicca. 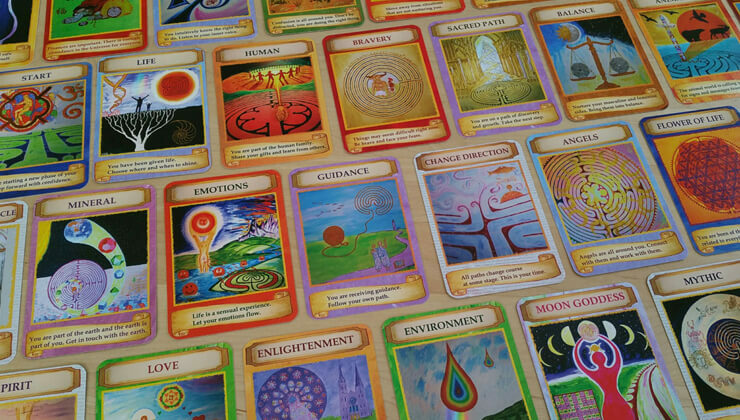 Tarot Decks offer more in depth readings especially for newbies because there is so much that you can find out online about the cards' individual meanings and all of the different spreads. But you can also use Tarot and Oracle decks together, if you want to get experimental. The general idea is to have fun with them all and use them in a way that works well for you. There's no set way to get started but what many people like to do is to ask the deck a question about the deck itself. This is because many people like to collect lots of different decks and use them for different types of readings. Asking the deck what you might to achieve from working with it can help you to form a kind of relationship with the deck, which can help to open up your mind and get more from the cards. All I can say is - don't knock it before you try it! You may be surprised and find that the deck really does "speak to you". Carry on reading to find out how to ask your deck a question and do a simple reading. First off you will need to shuffle your cards. Different people have their own way of doing this, and the way you shuffle your cards may depend on a few different factors. The size of the actual cards can make it difficult to shuffle in a certain way, especially if you have small hands. The material or thickness of the cards may make it difficult to hold them together while shuffling, or alternatively the cards may stick together meaning you don't get a good shuffle when using certain techniques. If you are reading the cards for someone else you may want them to shuffle your deck. Alternatively you may not want anybody else to touch your deck in order to protect the energy of the cards - if you feel that way about them. Cut the cards several times, placing them back together in a different order. Some people like to spread the cards out into an arch on the table and then hover their hand over the top until the "feel" something pulling them in a certain direction. Other people are more straightforward and simply choose a card at random. You may want to cut the pack in half and choose your cards from the place you cut. The most important thing is to be consistent, and also mindful in your intentions. When you have a clear idea of what you want to know you are more likely to find your guidance. Have your question ready in your head and repeat it as you are shuffling, or say it out loud when you shuffle and then draw your card(s). It is also important to decide beforehand whether you are going to flip the card over from the bottom, top or side. What Should You Ask Your Deck? The questions that you ask are perhaps the most important thing about card reading. Many people think that a card reading is going to tell them what to do, predict the future, or tell them how they can make something happen - like making someone fall in love with you. Tarot and Oracle Cards really don't work like this though. Instead of asking when and where you will find your soul mate, ask what you can do to find your soul mate, or how you will know when you have found them. You might also want to ask what obstacles are preventing you form finding your soul mate, or how you can strengthen the love that you share with your current partner. There's no point in asking if you will ever be rich. Instead ask how you can overcome your financial struggles or what skills you should develop to help you achieve more wealth. Don't ask when you are going to get better, ask what you can do to get well faster, or how you can create a life that keeps you happy and healthy. If you are seriously ill and you know you won't get better, there is no point in asking about miracles, try asking instead how you can find the courage to cope with your illness. Instead of asking what career is best for you, you could try asking where you are likely to be in 10 years time, or what are your best skills and how can you work on them to improve your career prospects. When you do a reading, especially when starting out, it is best to keep things simple. So here are three simple card spreads to get you started in exploring your potential. This is a quick and easy everyday one card reading. All you have to do is ask your question, keep it simple and to the point, and draw one card. It is a good spread if you want to ask something general, like - What should I expect from today? Or how can I be best prepared for this job interview? One card spreads are also great starting points if you want to expand on your question and dig deeper to thing out more specific aspects of your questions. This is a good spread to offer you insight into the two potential outcomes to a situation or the consequences of a decision you want to make. It can help you to think about something from two different angles or two different perspectives. You can decide what your two cards refer to, for example, potential positive outcomes and potential negative outcomes of a decision - or - the effects that one choice could make and the affects that a different choice could make. Keep things simple, and go with the flow. There are no set rules when it comes to thinking about you and your life. So have fun with your cards and do what feels right.